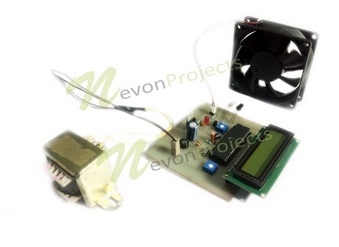 The project aims at developing a zero contact speedometer for a brushless dc motor. Most tachometers use contact based system to measure speed. But in some cases it is not possible to measure the speed of a panel or shaft using contact based methods due to technical issues or safety concerns. Our zero contact speedometer allows for detecting the speed from a distance. Our system is based on an IR transmitter and receiver to fulfill this purpose. It makes use of a reflector shaft that reflects IR rays back on each movement. These arrangements are capable of showing measuring the speed of the motor. 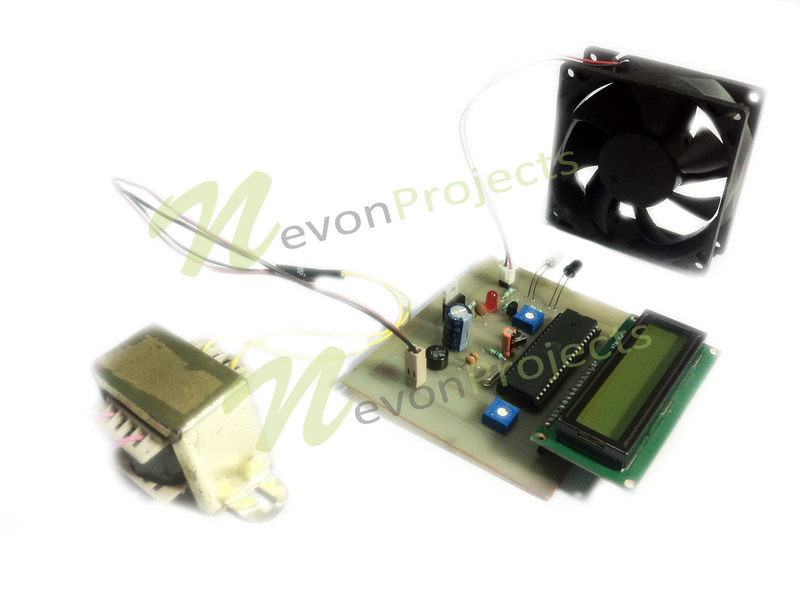 The system uses an 8051 microcontroller for this purpose. 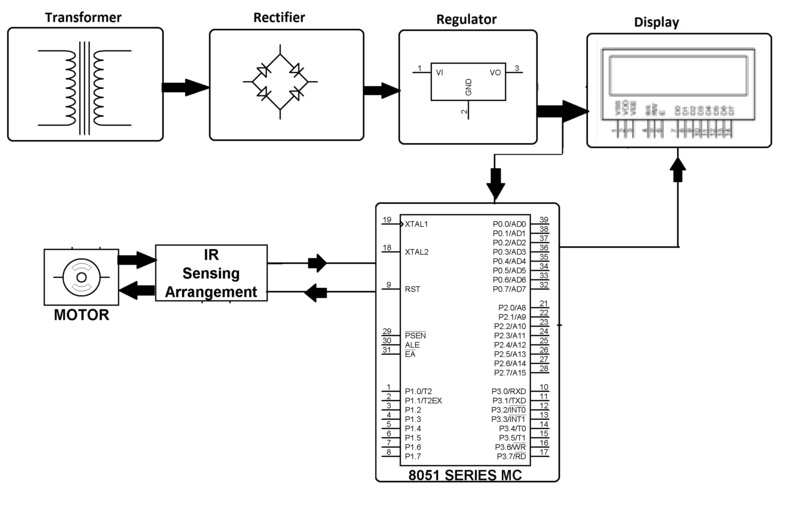 A IR sensor pair generates a signal on each reflected ray which is transmitted to the 8051 microcontroller for processing. The system timer is used to calculate the speed based on this data. The microcontroller is further connected to an LCD display in order to show the measured speed. This system with little enhancement can be used in cars bikes, other vehicles and industrial motors speed testing/measurement.